Without ascribing too much importance to a reality television program—albeit, a super groundbreaking, forward-thinking, deeply enjoyable reality television program—the crowning of Sasha Velour as winner of RuPaul’s Drag Race season nine felt meaningful. She was the season’s most “arty” queen, flouting what could be considered a traditional drag aesthetic by sporting a bald head and penciling in a burst of bushy hair between her brows. The queens behind the second L.A. edition of the multi-day drag event Bushwig consider Velour a “sister,” and not just because Brooklyn’s their mutual home base. According to Babes Trust, a co-founder of the festivities along with Horrorchata, their event also represents drag’s philosophical departure from being just female impersonation. 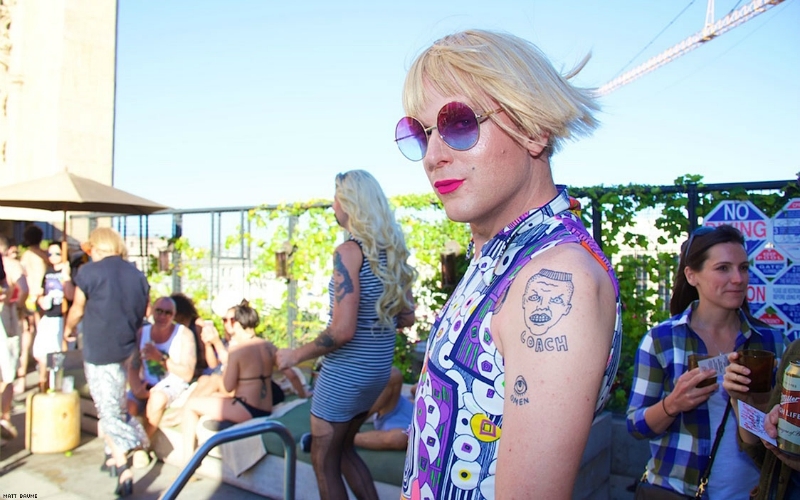 This year’s festivities consist of a Saturday pre-party at Faultline in East Hollywood and a Monday afternoon-to-evening poolside party at the Ace Hotel called Drag Queens on Acid. Last year, Bushwig’s festivities took place during the same weekend as RuPaul’s DragCon (which returns to DTLA in May), an event that’s been a testament to the mainstreaming of drag culture. Bushwig has positioned itself a sort of punk-rock alternative to DragCon, inviting queens from the Boulet Brothers’ online series Dragula, as well as L.A. nightlife legend and paraplegic queen Goddess Bunny. They just announced that German transgender pop sensation Kim Petras will be performing live at the Faultline party.